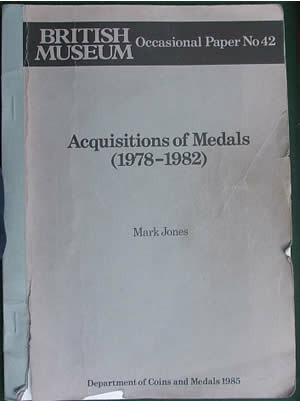 Mark Jones, British Museum Occasional Paper No.42, Acquisitions of Medals 1978-1982 (Department of Coins & Medals 1985). 155 pages, with 96 plates. Softback. Cover tatty in places, contents good.